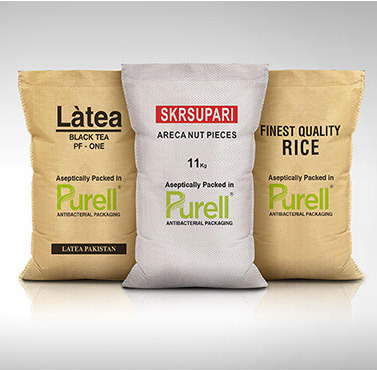 Reliance Pakistan in accordance with international Codex standards now brings you packaging for food grains and food products that are dust proof and water resistant. PURELL antibacterial packaging prevents post-harvest losses. Antibacterial bag contamination of dangerous aflatoxins, molds, and parasites. This is the solution for safely preserving your food while eating healthy.